People might associate mid-February in New York City with New York Fashion Week. But there’s another iconic NYC event that takes the city by storm and involves well-coifed participants, heightened competition, tons of sparkles and lots of strutting — the 142nd Westminster Kennel Club Dog Show. 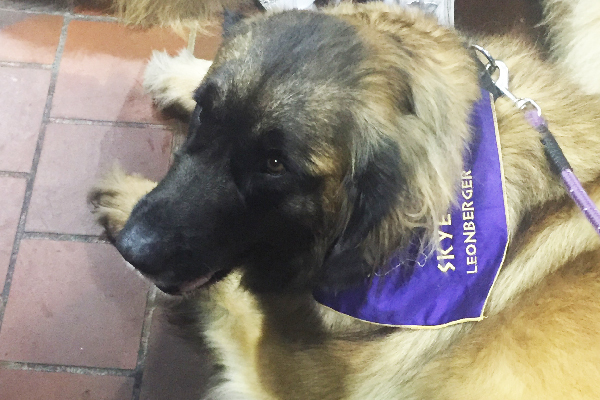 Leonbergers were among the many dog breeds at Meet the Breeds. Photography by Cait Rohan Kelly. This year’s Westminster Kennel Club Dog Show kicked off on Saturday, February 10, with Meet the Breeds. The event was a day-long, open-to-the-public affair that featured all different kinds of dog breeds — from pretty little Papillons to large, lazy and lovable Leonbergers. There was even a cat section featuring cat breeds, too. The Meet the Breeds event allowed attendees to mix, mingle and — most importantly — pet and interact with different dog breeds. Breed representatives were on hand to answer any questions about that particular breed and show off the highest in their breed’s standards. There were fun elements to many of the booths, from Airedale Terriers posing behind British automobiles to a kissing booth in the Staffordshire Bull Terrier area. The Masters Agility Championship also took place on Saturday. It was fun to see dogs of all different breeds, colors and sizes jump through hoops, race through tunnels and gracefully tip a see-saw in hopes of winning the title. Some of the dogs were speedy and some of the dogs got adorably distracted by their fans. In the end it was Fame, a Border Collie with boundless energy, who took home the Masters Agility Champion title. Biggie the Pug won the Toy Group, which put him in the running for Best in Show. Photography by Cait Rohan Kelly. The fun continued on Monday, February 12, when the Hound, Toy, Non-Sporting and Herding groups competed. Some of the highlights from Monday included an emotional win by Biggie the Pug in the Toy Group. Biggie’s cousin, a champion show dog named Rumble, passed away unexpectedly this past summer. The Pug’s handler, Esteban Farias, said Biggie’s win at the WKC dog show was in memory of Rumble. Biggie’s cheerful demeanor and adorable face only added to his appeal as a crowd favorite for Best in Show. 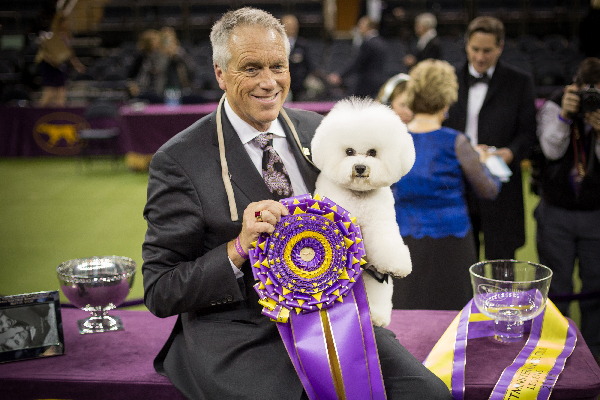 Flynn, a Bichon Frisé who we predicted would be in the running for Best in Show, took home top honors in the Non-Sporting Group. An elegant Borzoi named Lucy emerged as the Hound Group champion, and Slick the Border Collie won the Herding Group. 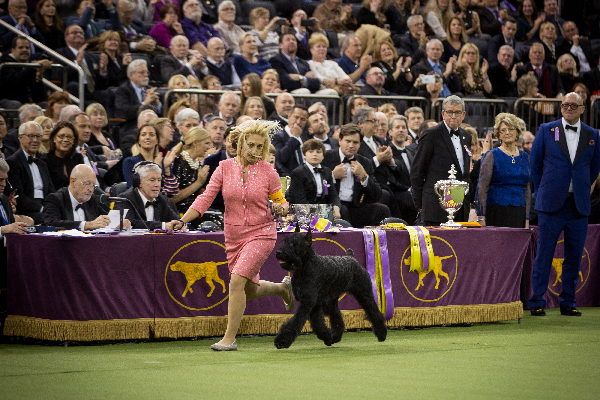 Tuesday, February 13: Sporting, Working and Terrier Finals… and Best in Show! Ty the Giant Schnauzer won the Working Group — and another coveted accolade later on (keep reading!). Photography by Kayla Bertagnolli. Tuesday, February 13, was the night of Best in Show… but not before the Sporting, Working and Terrier groups named their finalists. The Spaniels dazzled in the Sporting Group, with their short legs, chic grooming and cheerful personalities. Bean, the Sussex Spaniel, was an absolute standout and crowd favorite as he adorably stood on his hind legs like a human at the end of his show run. It was no surprise (and much to the crowd’s delight!) when Bean won the Sporting Group. Ty, the Giant Schnauzer who we had predicted would be in the running for Best in Show, won the Working Group, while a Norfolk Terrier named Winston took tops in the Terrier Group. Flynn the Bichon Frisé who won Best in Show at the Westminster Kennel Club Dog Show. Photography by Kayla Bertagnolli. 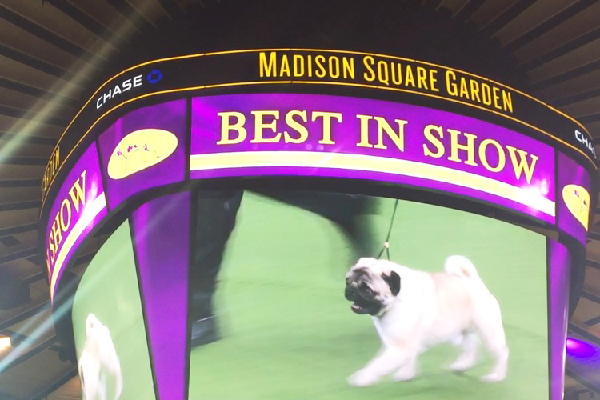 As the finalists rounded up, it was clear that Biggie the Pug and Bean the Sussex Spaniel were crowd favorites, garnering a large amount of whoops and cheers from adoring fans in the stands at Madison Square Garden. When the big moment came for seasoned judge Mrs. Betty-Anne Stenmark to award the Best in Show, she reminded the audience that the competition was about judging to breed standards. Flynn, the beautiful Bichon Frisé, took home the Best in Show title, with Ty, the stately Giant Schnauzer, winning Reserve Best in Show. If we had to judge, we would’ve added superlatives like Best Athlete for Slick, the energetic Border Collie; Best Dressed for Lucy, the well-coiffed Borzoi; Best Smile to Winston, the happy-go-lucky Norfolk Terrier; Class Clown to Bean the Sussex Spaniel for his playful, crowd-pleasing antics; and Mr. Congeniality to the very sweet Biggie the Pug (he was sighted hugging a toddler!). Congrats to Flynn and all the dogs who competed for the Best in Show title! Stay tuned for even more coverage of the Westminster Kennel Club Dog Show on Dogster.com. PS: We loved the show’s reminders that all dogs participating were from professional and responsible breeders. 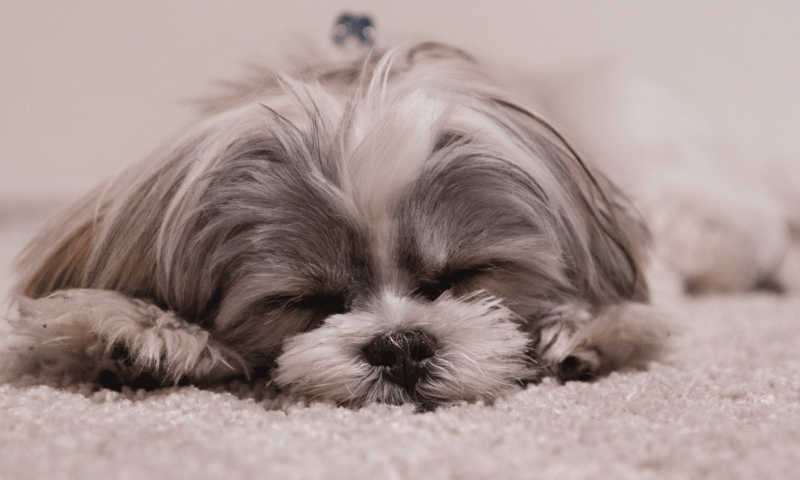 No dogs featured were from puppy mills or sold in pet stores. 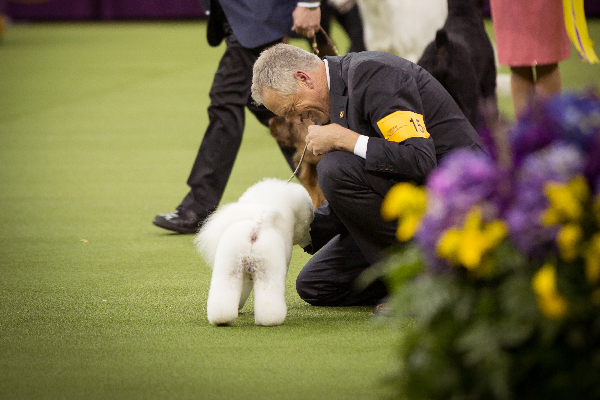 Tell us: Did you watch the Westminster Kennel Club Dog Show? What did you think of the picks and the Best in Show choice? Thumbnail: Photography by Kayla Bertagnolli. The post The Westminster Kennel Club Dog Show: Flynn the Bichon Frisé Wins, Biggie and Bean Charm, and More Highlights appeared first on Dogster.